This is the 1st map of my Mythical Sandbox Missions. The City of Bast located in the western Nile Delta at Bubastis(Per-Bastet). 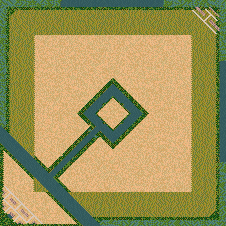 In this Serie of maps, you will find Preset Monument Positions. Use them and create your free to play Mythical City ! !